The rebranding campaign has reached yuuuuge levels, selling out hats emblazoned with the message and even landing Jay-Z’s support. 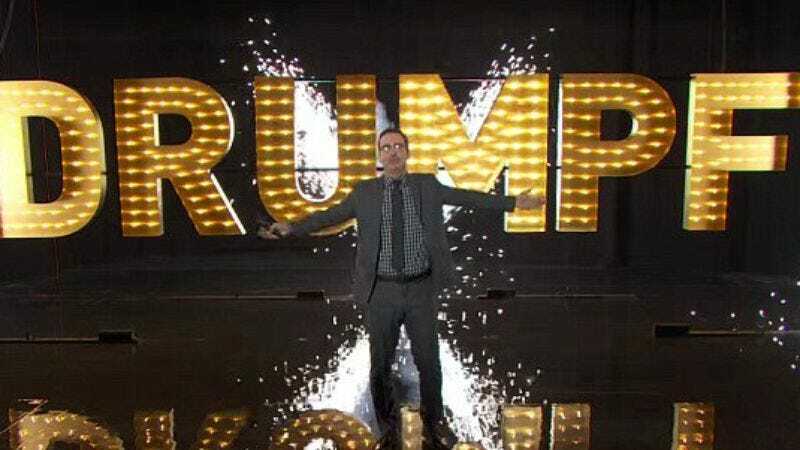 And according to CNN Money, the “Make Donald Drumpf Again” video is the most popular Last Week Tonight clip ever, with 85 million YouTube and Facebook views combined. A HBO spokesman told CNN Money that “this is a record for any piece of HBO content,” though he didn’t elaborate on whether it was more popular than the average Game Of Thrones episode. Now it’s just a matter of time until Trump trademarks “The Trump Bump” or asks for some kind of writing credit for the segment (those Jon Stewart tweets didn’t write themselves), though we suppose it’s entirely possible he’ll just wave off the news with his tiny hands.